The Ayon Audio/Lumenwhite room was BOS for me. Outstanding. Please listen to the start of the video. Yes, there was some confusion on my part. I changed one spot but I see I missed another. Thanks. My Duo Messo’s sit on these Symposium Super Plus bases (custom because of the size). I got these bases at a previous apartment hoping to reduce floor transmission. They didn’t reduce transmission (maybe increased it!) but really improved the tonality of the piano. I have said for three years that Precision Audio Video had a winner with the Martin Logan/Constellation setup, and this year I've heard others say same. My pal even texted me while in the room with "Wow." The difference this year is that they brought the smaller ML 13a speaker vs. the 15a they had the last two years, which slightly overpowered the small room. They all have the same "family" sound but the 13a was just right, and even with minimal room treatments, I was not the only one to say it sounded fantastic. My first year hearing this system (when the show was at the Westin), I sat through an entire album side. This was after hearing the Martin Logan Neoliths in a system not too far down the hall that sounded terrible. 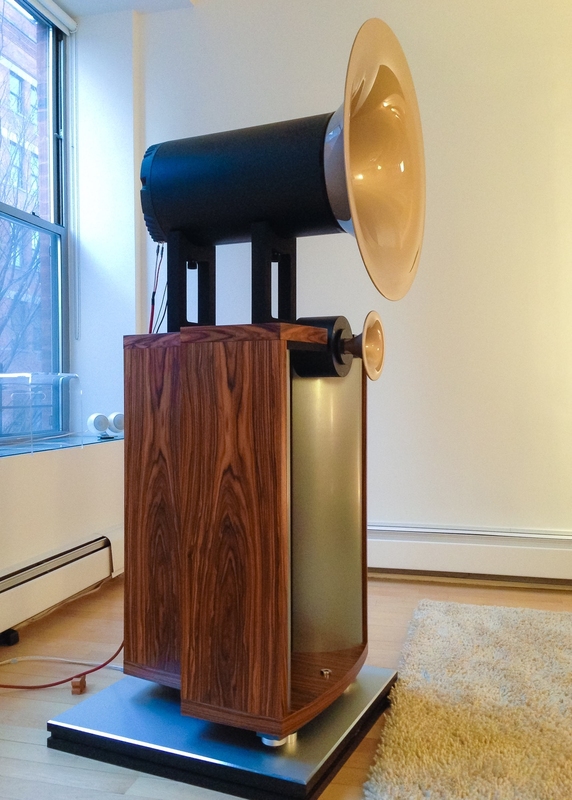 I don't know if the McIntosh DAC or their overpowered monoblocks were to blame, but the sound was metallic, edgy, harsh. And they turned it up so loud that it drove me from the listening room, and marks the only time I have ever complained to an exhibitor about the volume level. It was painful, and since then I've never set foot into another Audio Video Interiors demo at AXPONA. There appears to be a Chris Connaker lookalike in the picture per the link below. Or maybe the real thing, shopping for high quality room treatment products for the new listening room? It's also worth clicking the links to the other pictures, the link above is page 8 of 8. Please forgive, perhaps I should send a side note so this does not get off topic, but I have a chance to buy a pair of the Dynaudio Confidence 20's for a not bad price. It's just that I've never heard them before. Can you elaborate just a bit more on what impressed you, then we can drop this side bar. Thanks! Well, I can say a bit but these things are very subjective. Quite a few top-rated speakers seem to me tuned for maximum impact rather than coherent and integrated musicality. I felt the Confidences absolutely had that, to a really unusual extent, completely engaging even at a show, and they have remarkable bass too for their size. When it comes to the highest-end speakers I like Gamut which also have that integrated feel as opposed to Magico which initially impress but become tiresome to my ears. Sorry to be less than articulate in description, but if I had the money in pocket I'd go for the Confidences without hesitation unless I had an enormous room. My thanks for your Trane recommend. This is just the sweet spot in his, too short, career. Next off to buy a download...listening on Tidal and it sounds so fine. ROON ROCK, & linear SBooster power supply. 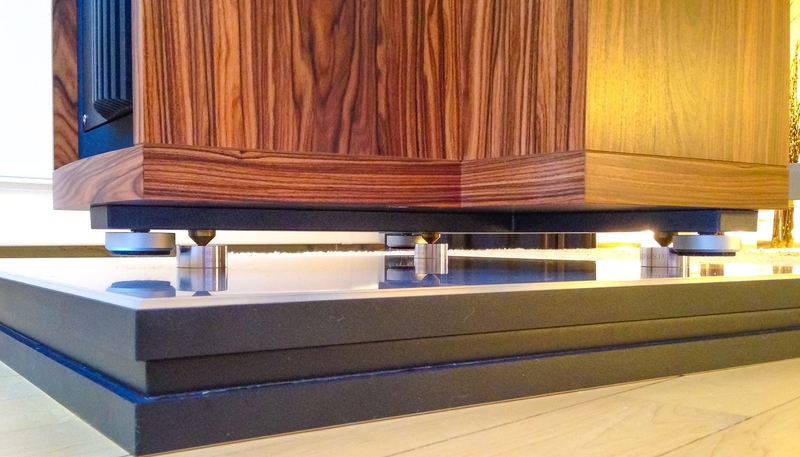 AQ Ethernet to DEVIALET mono blocks, Nordost Heimdall to Magico Q3. Power by AQ Niagara 5000 with Tornado PC. Speaking of Dynaudio Confidence speakers, it was the top of line units a few years ago at an audio show, driven by Bryston monoblocks, that delivered the most capable sound I have yet heard, from a system not my own - especially impressive was the effortless SPL capability; better than anything I have achieved. This is great documentary. I watched it on Netflix. thanks for the excellent report. if you wouldn't mind, what is the song playing in the Avantgarde Zero TA video? @imanpaul it's Sarah for the TA and John for the other. thanks jtwrace for the info. i already had coltrane, just bought sarah. it was my first time on a audio show...loved it!!! Some Buena Vista Social Club music!! !